DCI Brendan Moran’s last minute break in the West Country proves anything but restful as he becomes embroiled in the mysterious disappearance of an American tourist. Does the village harbour some dark and dreadful secret? The brooding presence of the old manor house and the dysfunctional de Courcy family may hold the answer but Moran soon finds that the residents of Cernham have a rather unorthodox approach to the problem of dealing with outsiders. 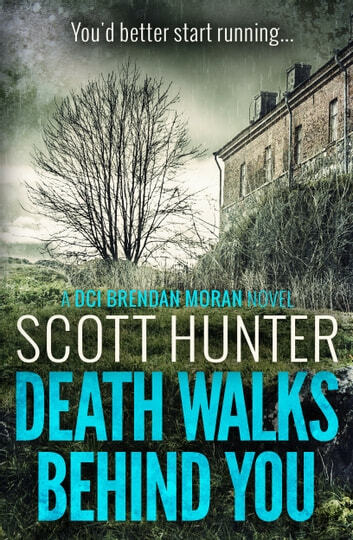 I have read all 3 of the Brendan Moran series and I must say that I thoroughly enjoyed each one. Just when I think I've got it figured out, I find out that I don't. 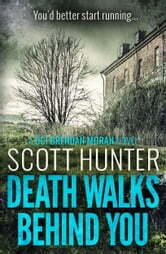 Scott Hunter does an excellent job of keeping the reader in suspense, and the results are always satisfying. He kills off characters very quickly. Maybe a few too many bodies. Still recommend as an enjoyable read. Overlapping major cases. Tests of loyalty. Unexpected deception. Conflicts of interest. Creepily sinister characters. The past and present meet to prolong ancient horrors. Will anyone be able to stop them? Will Moran ever get a vacation away from it all? NONSTOP ACTION THAT KEEPS YOU GUESSING AS TO WHAT COMES NEXT. MORAN IS ALWAYS ONE STEP BEHIND BUT THE EXCITMENT NEVER ENDS.